It’s a baaaaby sea turtle! 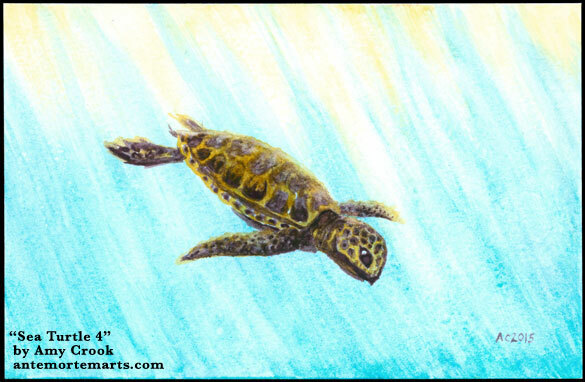 This little cutie is swimming in clear blue waters, lit by the sun streaking down from above. His fins and shell are limned in golden light, almost melting into the sunbeams. 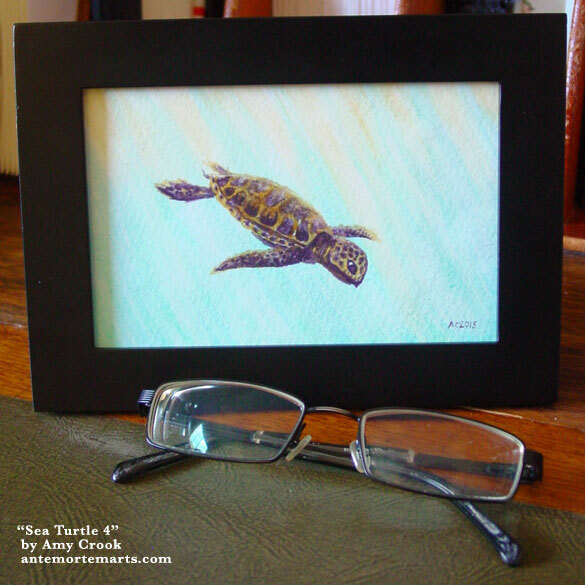 The rich purpurite mineral paint blends beautifully with the artificial quinacridone gold to give the turtle an earthy feel in contrast with its watery environs. 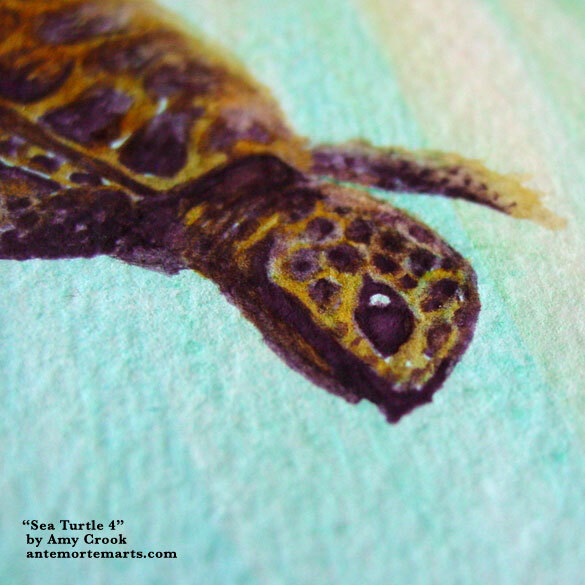 Sea Turtle 4, 6″x4″ watercolor on Fluid watercolor paper. Above, you can see his sweet little baby turtle face. Below, he’s swimming in his own little frame, just waiting to find his way home.